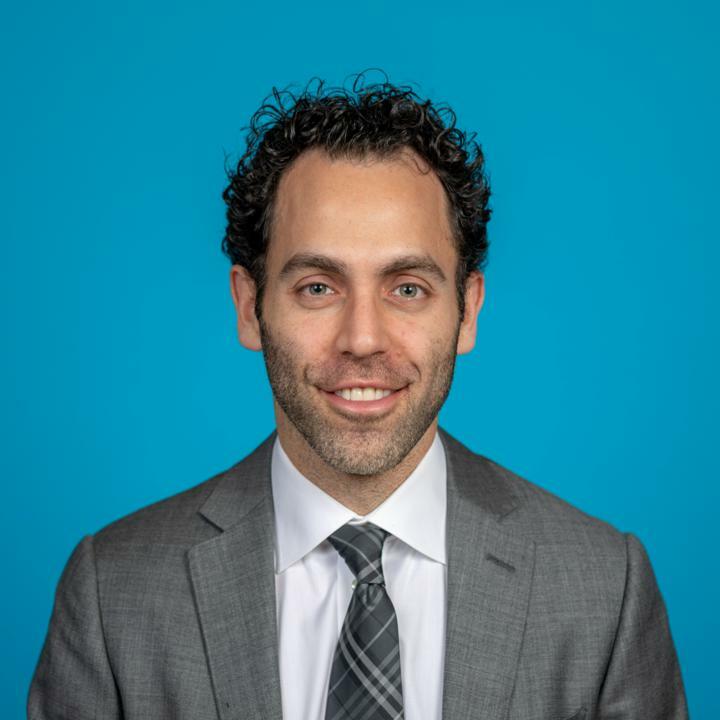 Dr. Jeffrey Mosko is a Clinician in Quality and Innovation (CQI) in the Division of Gastroenterology at St. Michael’s Hospital and an Assistant Professor of Medicine in in the Department of Medicine at the University of Toronto. He serves as the gastroenterology divisional director of postgraduate education at St. Michael’s Hospital. He graduated with a BSc and then MD from the University of Western Ontario. He completed his internal medicine and general gastroenterology training at the University of Toronto. He then completed his fellowship training in advanced endoscopy at Beth Israel Deaconess Medical Center and Harvard Medical School in Boston, Massachusetts and has been on staff at St. Michael’s Hospital in Toronto since that time. He completed an MSc in Quality Improvement and Patient Safety at the Institute of Health Policy, Management and Evaluation at the University of Toronto and continues to teach in the MSc program there. He serves as a co-director of the advanced endoscopy fellowship at St. Michael’s Hospital and the International Course on Therapeutic Endoscopy. Dr. Mosko’s research is in quality improvement in endoscopy. He has led local initiatives to improve sedation for advanced endoscopic procedures, management of acute pancreatitis and the patient experience in endoscopy, among others. He is leading provincial/national initiatives to improve access to endoscopic ultrasound, colonoscopy skills and polypectomy technique. Finally, he is collaborating on an international scale to translate best practices to meaningful quality measures. Crespin, OM, Okrainec, A, Kwong, AV, Habaz, I, Jimenez, MC, Szasz, P et al.. Feasibility of adapting the fundamentals of laparoscopic surgery trainer box to endoscopic skills training tool. Surg Endosc. 2018;32 (6):2968-2983. doi: 10.1007/s00464-018-6154-8. PubMed PMID:29611046 . Gleicher, Y, Mosko, JD, McGhee, I. Improving cardiac operating room to intensive care unit handover using a standardised handover process. BMJ Open Qual. 2017;6 (2):e000076. doi: 10.1136/bmjoq-2017-000076. PubMed PMID:29450275 PubMed Central PMC5699157. Shimamura, Y, Ikeya, T, Marcon, N, Mosko, JD. Endoscopic diagnosis and treatment of early esophageal squamous neoplasia. World J Gastrointest Endosc. 2017;9 (9):438-447. doi: 10.4253/wjge.v9.i9.438. PubMed PMID:28979708 PubMed Central PMC5605343. Mosko, JD, Pleskow, D. Evaluation of NinePoint Medical's Nvision VLE device for gastrointestinal applications. Expert Rev Med Devices. 2017;14 (7):495-503. doi: 10.1080/17434440.2017.1343142. PubMed PMID:28617072 . Hall, PS, Teshima, C, May, GR, Mosko, JD. Endoscopic Ultrasound-Guided Vascular Therapy: The Present and the Future. Clin Endosc. 2017;50 (2):138-142. doi: 10.5946/ce.2017.048. PubMed PMID:28391673 PubMed Central PMC5398359. Shimamura, Y, Mosko, J, Teshima, C, May, GR. Endoscopic Ultrasound-Guided Pancreatic Duct Intervention. Clin Endosc. 2017;50 (2):112-116. doi: 10.5946/ce.2017.046. PubMed PMID:28391672 PubMed Central PMC5398367. Alali, A, Mosko, J, May, G, Teshima, C. Endoscopic Ultrasound-Guided Management of Pancreatic Fluid Collections: Update and Review of the Literature. Clin Endosc. 2017;50 (2):117-125. doi: 10.5946/ce.2017.045. PubMed PMID:28391671 PubMed Central PMC5398360. Shimamura, Y, Hwang, J, Cirocco, M, May, GR, Mosko, J, Teshima, CW et al.. Efficacy of single-incision needle-knife biopsy for sampling subepithelial lesions. Endosc Int Open. 2017;5 (1):E5-E10. doi: 10.1055/s-0042-122334. PubMed PMID:28337478 PubMed Central PMC5361879. Bollegala, N, Patel, K, Mosko, JD, Bernstein, M, Brahmania, M, Liu, L et al.. Quality Improvement Primer Series: The Plan-Do-Study-Act Cycle and Data Display. Clin. Gastroenterol. Hepatol. 2016;14 (9):1230-3. doi: 10.1016/j.cgh.2016.04.042. PubMed PMID:27211505 . Weizman, AV, Mosko, J, Bollegala, N, Bernstein, M, Brahmania, M, Liu, L et al.. Quality Improvement Primer Series: Launching a Quality Improvement Initiative. Clin. Gastroenterol. Hepatol. 2016;14 (8):1067-71. doi: 10.1016/j.cgh.2016.04.041. PubMed PMID:27211504 .